STOP! This website is NOT up to date. I invite you to visit my NEW WEBSITE that launched January 2016: AKASHICFOCUS.COM. What follows now is my old website and I will not update this site. As an Akashic Facilitator and Teacher, I make it easy for you to accomplish your inner work within a safe and sacred space. Guided by your Akashic Records, sometimes called the Akashic Field or the Book of Life (in the Bible), you will experience gentle yet dynamic Divine Direct Action to assist you to find your own Heart Truth so you can create the personal transformation and happiness longed for by your soul. • discovering and clearing ancestral beliefs, vows, or any issues that are no longer serving your highest good. Your Records will take us back to the ancestor where this issue began. Divine Direct Action will clear from that ancestor down through all subsequent ancestors and into you. This process has the potential to also clear the inherited issue in any of your children who also have it. • and/or symbols from the Records that give you powerful access to your subconscious mind. Your greatest healing always comes from within yourself, not from an outside source or product. Several times a year, Akashic trainings are scheduled for interested participants, including holistic practitioners. During the Akashic Records Integration Process: Module A, you can learn to access and explore your own Akashic Records either ONLINE or during a LIVE Teleseminar Series. During Module B, you can learn to access and explore the Records of other people, places and things. This LIVE, in person training also gives you the knowledge to be a professional Akashic Facilitator if that is your path. Students from the US and overseas have enjoyed learning about the Akashic Records. If you are interested in classes in Healing Arts, Intuitive Arts Training, or Alternative Workshops incorporating the Akashic Records – either in person or through Distance Learning, please contact me for more information. Alternative Medicine home study courses for students anywhere in the world. Established in 1987, nearly 7,500 students have taken our courses in over 50 countries. Alternative Training provides professional high quality Homeopathy, Anatomy & Physiology, Pathology & Disease and Nutrition home study courses for students and practitioners of alternative medicine. They are ideal for anyone who desires flexible learning. Study can be done anywhere in the world and be started whenever you like. Courses can be spread over long time periods so they fit into busy life schedules. 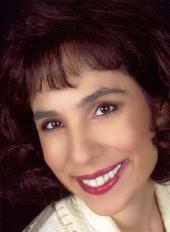 Sabrina Renee is a professional intuitive and tarot reader. Telephone and online readings are available. Along with readings, she offers a goal and assessment session based on the client's reading, which analyzes where one is emotionally/physically/spiritually, what one's goals are, and what one is doing to achieve them. She also provides online classes in tarot, candle magic, visualization techniques, hoodoo, and techniques on creating your own manifestations. Through Anadiz Moon Spiritual Healing, other services include: divination through tarot and intuition,monthly online newsletter, numerology charts, astrology charts, weekly meditations, online classes, workshops, spells, spell kits, candle magic and healing, and much more! CLICK ON THE PROFILE TO SEE THE FULL LIST AND DESCRIPTION OF ONLINE CLASSES. 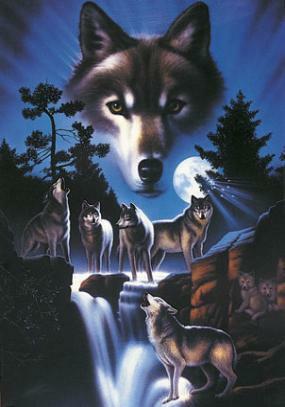 Spirit Medium offering crossing over and psychic readings. Also available is Reiki or Shamballa training and attunements, as well as workshops on spiritual development. Pam Fong is a Reiki Master and an ordained minister. Ashkee is a Reiki Master/Teacher. 30 yrs experience in energy work. 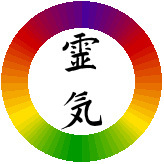 Practicing Seichem, Traditional Usui, Tera Mai, Ascension and Gendai Reiki Ho Reiki. Dedicated to inner growth through Reiki, Neuro Integration, Energy Medicine, EFT, and more. My goal is to allow each persons path to unfold in its own unique way. Ashkee offers Distance Reiki Training for those who cannot come in person. Many other Initiations and Attunements offered. For those who like astrology we offer a wide selection of reports that are e-mailed directly to you. Consultations, Healing Sessions and Certified Training Classes are available. Classes are not posted on the website. Please call or e-mail Ashkee for current class dates. Ashkee also teaches individuals privately if they do not enjoy a class situation. and provide you a computer disk of your response results. Known as the "Healer's healer" & as a renowned medical intuitive, Brent participates in medical research. Brent's energy physically repairs, REGENERATES & RESTORES cellular tissue, organs, bone & nerves, it removes pain, repairs & physically recalibrates electromagnetic neurological, neuromuscular disorders, raises oxygen levels & stops bleeding. Brent's client base is usually the "incurable" or those who have not received satisfactory results from traditional or alternative medicine. The Energy provides hope for clients who have exhausted all avenues of modern medicine. The majority of people, depending on the gravity of their illness, respond favorably. Some, however, do not, and a severely degenerated system might not be able to respond to the energy. I have been nicknamed "the Healer's healer" because the Energy also activates, restores, and empowers other "healers" to a higher level of their own abilities and gifts. I'm honored to be the energizer bunny for phenomenal Lightworkers. The Energy recharges their systems and is a great backup regenerator power source for many on the go Lightworkers, so they can keep on keeping on, doing their job to the max! My "Paintings That Heal" also facilitate an individual's healing process. These paintings are infused with Healing energy to reinforce and repeat the effect of the healing energy on a deeper and deeper level into your cellular memory after our initial healing session. Created for your individualized healing needs specific to your disorder. The Bach flower remedies are a safe and natural method of stress management. This complementary therapy can be used in the home, or alongside any other modality to enhance the well-being of clients. 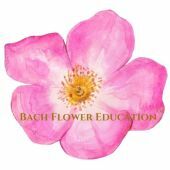 We offer courses on the Bach Flower Remedies, which are approved by the Bach Centre, UK and lead to practitioner registration with the Centre. Are you feeling tired, fatigued or just out of sorts? Do you suffer from a chronic or persistent medical condition that defies diagnosis or does not respond to treatment? A Medical Intuition Evaluation with Medical Intuitive Dr. Rita Louise can shed light on these and other questions. Medical Intuition refers to the ability to provide in-depth insights into your current state of health and wellness. A Medical Intuition Evaluation pinpoints specific illnesses, imbalances and pre-clinical conditions in the human body. A session can appraise your current state of health and well-being by identify the strengths and weaknesses of your body. In fact, a Medical Intuition Evaluation can often expose health issues that even the most sophisticated medical diagnostic tests do not! A Medical Intuition Evaluation can reveal not only your current state of health, but can also validate unresolved thoughts and emotions that may be impacting you and your current state of health. This information can be gathered remotely, meaning regardless of physical proximity of client to practitioner. As a Naturopath and Medical Intuitive, Dr. Rita Louise is able to provide you with specific holistic guidance to help restore strength and vitality to all areas of your life. Her recommendations may include dietary and lifestyle changes, exercise and stress reduction techniques, vitamin and mineral supplementation or herbal therapies. Provide specific information regarding the function of the organs and glands as well as the many different body systems. Getting a Medical Intuition Evaluation, with Medical Intuitive Dr. Louise, is easy. They are performed in a safe and friendly environment. In fact, a Medical Intuitive Evaluation can be done over the phone from the comfort of your own home. All Medical Intuition Evaluations leave you with a feeling of hope, a sense of empowerment or a direction to follow. This is true whether you are seeking guidance for yourself or are in need of help, encouragement and support for a friend or loved one. I am a certified Bach Flower Essence Therapy Practitioner and Usui Reiki Master/Teacher. I offer affordable Bach flower essence therapy consultations, Reiki healing treatments, and Usui Reiki training and Attunement in person or by distance. Please visit my website for details. Reiki blessings to all of you. 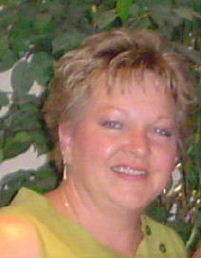 Carol is a certified teacher and feng shui practitioner who has studied in the United States and China. 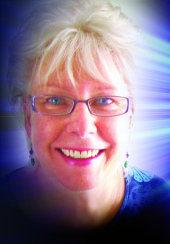 She offers private consultations for homes, businesses, schools, and libraries; clutter counseling and clearing; space clearing; dowsing; presentations; and teaches workshops throughout the United States. 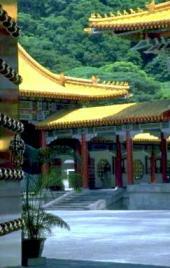 Carol uses a practical and western approach to feng shui. Have you dreamed of the opportunity to complete your education in spite of challenges imposed by family, employment or location? What could be more interesting than the study of science or health, and the way we interact with the world around us? 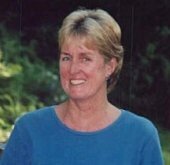 Facilitating and teaching under the trade name of COMPLEMENTARY ARTS since 1997,in Randolph Center, Vermont, Trudi facilitates Usui and Karuna Reiki, Therapeutic Touch, EMF, and Sacred Sound Healing and spiritual counseling. She teaches all levels of Usui and Karuna Reiki as well as presenting workshops on Sacred Sound Healing, Meditation, Conscious Aging, Magnified Healing, an intensive series on the Chakra System course "A Way of the Heart: Healing the Emotional Body". So, You Have A Great Vision, A Burning Message, Unique Product or Service . . .
Share What You Know about Living a more Conscious, Spiritual, Healthy and Enthused Life! YOU CAN BECOME A SOUGHT-OUT EXPERT AUTHOR. When You SPEAK YOUR BOOK with teleseminar interviews, you are creating a dynamic tool to promote your business and to sell. Get Your Word Out Better, Faster & With Less Effort with our TELESEMINARS-Into-eBOOKs process. We can help you promote and grow your practice, your business, your self . . . and generate more clients and profit. We will assist you with repurposing your teleseminars into a variety of money generating and value-packed information products: e-books, articles, booklets, reports, workshop manuals, podcasts. And show you HOW TO implement the eBook and other products for your marketing and advertising needs. EARN CEUS at National Workshops or with Certified Distance Learning programs. Certification credits approved by NCBTMB. Dalton's Myoskeletal Alignment Techniques combine modalities from: Myofascial Release, Rolfing®, Neuromuscular Therapy, Assisted Stretching, and Dalton's joint-capsule and receptor-recoil routines. Website Sales of Videos/ DVDs, Manuals and certified Home Study Program. Through a past-life regression some years ago that was inspired by a series of psychic and astrological readings, I discovered that in past lives I had been a healer in Atlantis in at least 2 lifetimes. During the regression I told the therapist that "I have always been a healer." I am a Reiki Master-Teacher of several different Reiki modalities, and offer private classes, Reiki healing sessions, distance healing, and distance courses and attunements.